System Conservatoire, silver plated mechanism, French fingerings reaching down to low Bb, semi-automatic octave keys, 3rd octave key for high register, C and Bb to be played with first finger right hand, closed forked F mechanism, long F key for left hand, low B-C# trill key, Ab-Bb trill, G#-A trill and D#-E trill, resonance key for low Bb, resonance key for balance of low B intonation, adjustable swivelling thumbrest. 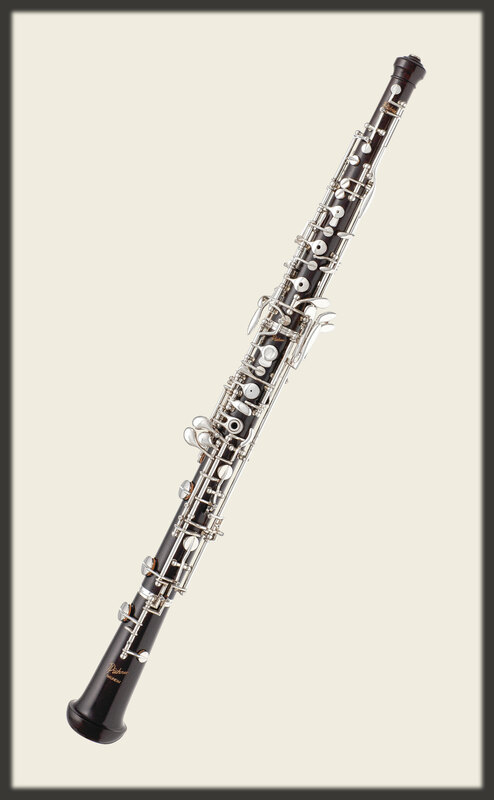 Püchner oboe is built with French fingerings reaching down to low Bb, 3rd octave key for the high register, and a swivelling adjustable thumbrest, specially developed by Püchner. The mechanism is finished with strongly resistant silver plating, and the instrument is supplied in a leather covered case with a set of accessories.